Hi everyone! If you’ve been following my travel journey, you know I am currently doing Remote Year and spent month one in Lima, Peru. I’m going to share the deets on accommodation, workspace, tracks, and Lima itself. If you have any other questions regarding Remote Year, please comment below or email me at info@ariellesays.com and I would be happy to help. You can also follow me on Instagram to continue seeing my travel adventures play out. First things first, what is Remote Year? It’s a travel program you apply for which allows you to work remote and live in various countries. It’s kind of like study abroad but for working professionals. Everyone in the program has different jobs, and you apply already having a solid position (or freelance work). So no, Remote Year does not supply you with income. I am still working at BuzzFeed and writing about travel. Some people work in advertising, some in HR, some in art design, etc (all different companies). Basically you should ask your company if this is an option for you (either they pay it for you or they just approve your in-office absence and you pay yourself) and you can do either a 4-month program or a 12-month program. I am doing the 4-month program (called Kahlo) and my itinerary is: Lima, Peru > Medellin, Colombia > Bogota, Colombia > Mexico City, Mexico. Here’s a list of Remote Year itineraries you can apply for. What are accommodations like? Is it included in the cost? Yes! 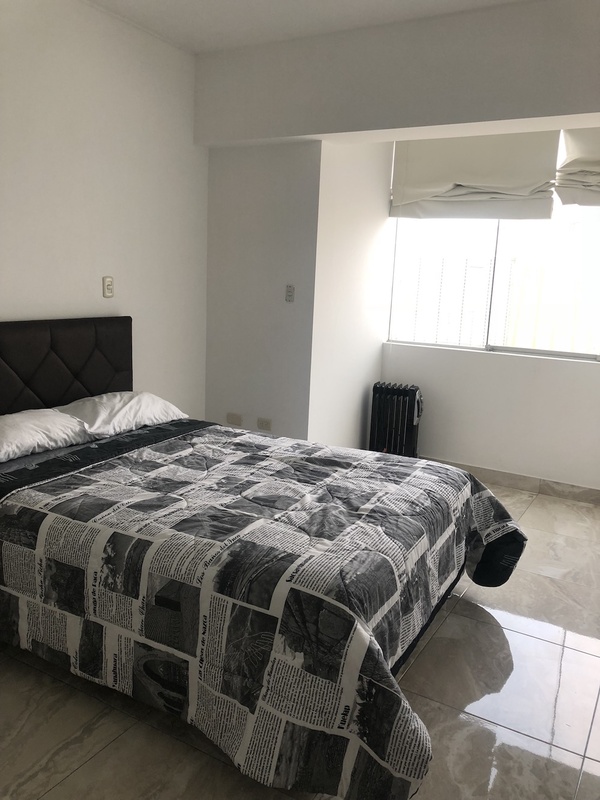 Accommodations in Miraflores are included in the cost. You are sent a survey to give some preferences (ex: if you prefer to live with women only, do you want to live close to the workspace, etc) and Remote Year hooks it up for you. This is the great thing about RY because you don’t have to worry about a lease or plan housing. For reference, my program is about 25 people and we all live together in some capacity. I had two roommates from the program, and many of us lived in the same building. But other RY people lived in other buildings. We were all within 20 minutes walking of the workspace. You are supplied linens, towels, wifi, and an extra blanket because Lima can get cold AF in winter time. 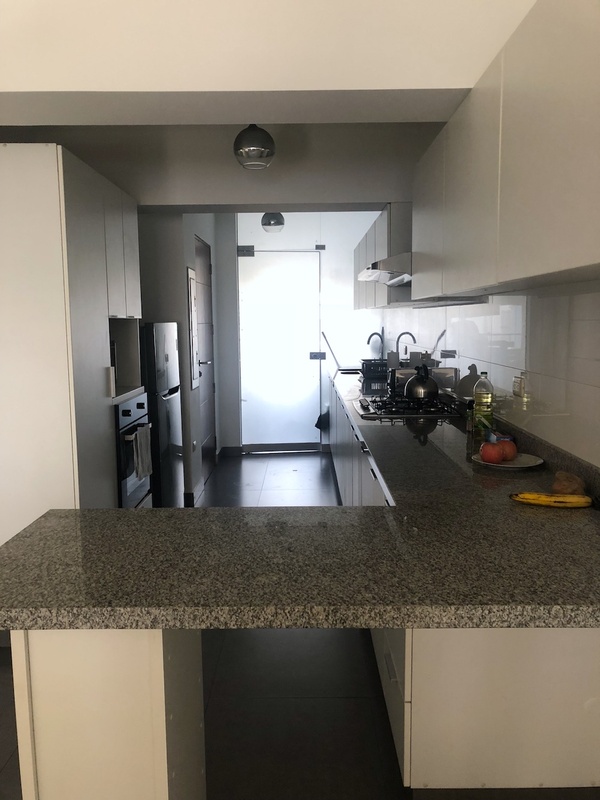 Below are some pictures of my apartment, specifically. It had an awesome balcony, washer and dryer, microwave and toaster, and each bedroom had its own bathroom. How is the workspace? Is that also included? Yes, it’s included! 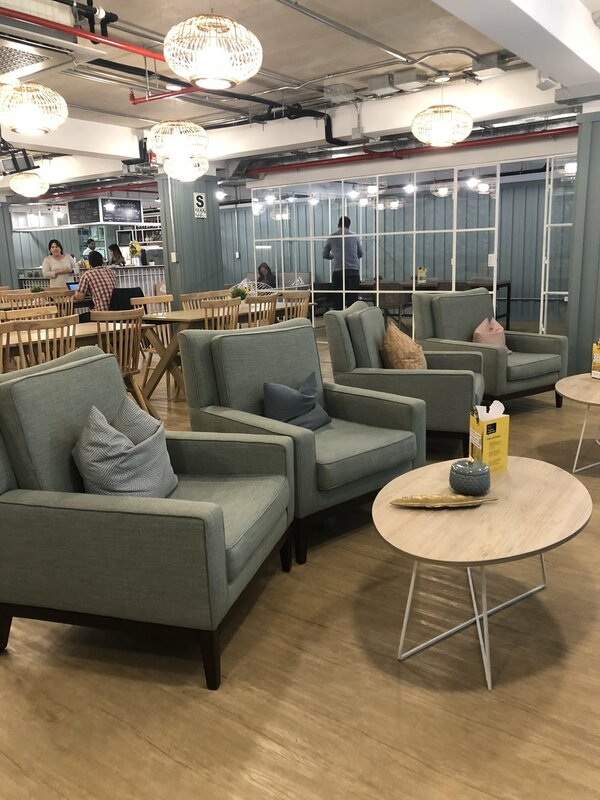 We all received 24/7 access to a workspace called Comunal Coworking. There were offices in Miraflores and Barranco, but I DEF recommend Barranco. The area is artsy and trendy, and the office itself is cooler. In the Miraflores office, you can book rooms and phone booths, but in Barranco you cannot. But we often worked in the cafe space in Barranco and found it to have a better, less corporate vibe. Fun fact: Remote Year also provided the Kahlo itinerary with FREE SPANISH LESSONS AT THE MIRAFLORES WORKSPACE! We took a placement test and had them every Monday and Wednesday. So I worked at both places often, which was a good mixup. Coffee, water, and fruit is provided. Below are pictures of the Barranco workspace. What else is included beyond accommodations and workspace access? Tracks! This is such a cool feature and we should talk about it more. Ok, so tracks are essentially events or side trips that RY organizes and pays for. Each city has an experience manager who is your go-to guide for all things local. So they put together these events that are unique and fun, and you can ask them pretty much anything. RY usually has 4-6 weekday tracks (you pick two) and 1-2 weekend tracks (you pick one) that give you insight to the country you’re in. 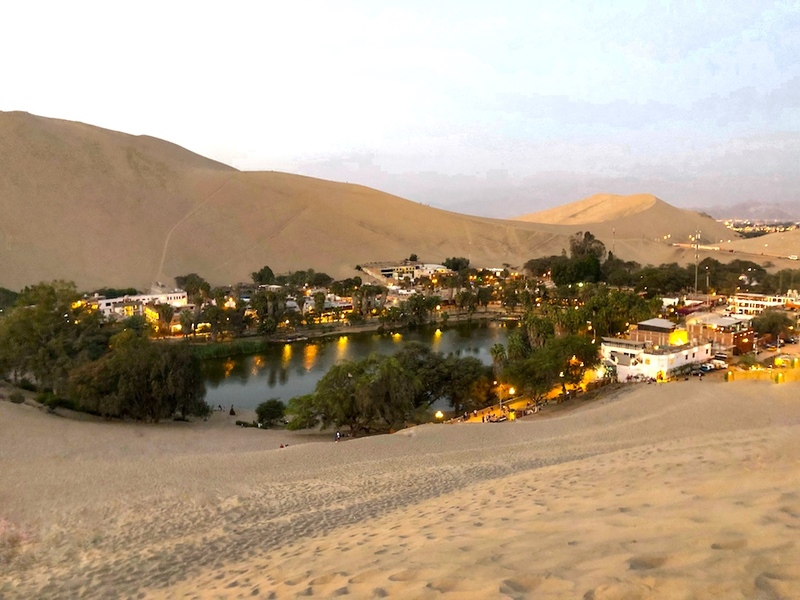 So for my tracks, I did a potato track in which we made a bunch of potato dishes (Peru has 3,000+ varieties) and Huacachina for my weekend track, which included sand-boarding and dune-buggying in a desert oasis. Huacachina was SO EFFING FUN and I would not have known about it without tracks. We got picked up in a private van at 7 a.m., drove four hours to a house (like an Airbnb) which included a home-cooked lunch and a few hours of lounging by the pool, and then we headed to the desert oasis. From there, you all go in this huge dune-buggy and ride around the desert. And then you go sand-boarding (which I almost didn’t do because I was terrified, but it was really fun and looked way scarier than it was). The best part was watching the sunset in the middle of the desert. It was seriously so beautiful and serene. Below are some pics from my experience! How’s the weather in Lima? Not the best, tbh. I went in September (winter) and it was very dreary and gray. We saw a total of two sunsets and a few days of sun. Temperature-wise, it was about 50 — 70 degrees at any given time. Nights were pretty cold and I definitely needed a jacket. Luckily our apartment had space heaters, and those were necessary. However, it didn’t rain ONCE while I was there. So that was clutch. What things should you know about Lima? Ok, beyond weather and what RY provides, there’s some crucial things to keep in mind while in Lima. First things first, the tap water is NOT drinkable. Always buy bottled water (agua sin gas = still, agua con gas = sparkling). I also tried not to eat any fruits or veggies that don’t come encased in skin (so I ate bananas, oranges, avocados, etc) OR I made sure to eat hot meals (cooked veggies). Another thing is that pollution is HORRIBLE in Lima and it gave me a ton of headaches. There’s also a bit of a mold problem, especially if you live close to the water (which we all do in Miraflores). Keep your windows and bathroom doors open, especially after a shower. Credit cards are usually accepted at most restaurants and shops (mainly Visa), but you’ll need cash for markets and street vendors. OMG the fooooood! Lima is the food capitol of South America, and for good reason. I legit ate out almost all my meals because they were so delicious. Below are some of my recommendations! Isolina: This is described as “the food your grandmother makes.” The line can be long, so keep that in mind. This is a family-style place, so go with a group of people. Get the tallarin lomo saltado and a pisco sour! Mercado 28: This is a modern food court with tons of options! My favorite was the arroz norteno at Agalles. La Rosa Nautica: This is a blue and white restaurant right on the water and it is BEAUTIFUL. If you see sun on the forecast, try to book a reservation around sunset. Canta Ranita: This is located in a local market in Barranco and the ceviche is THE BEST I’VE EVER HAD. You can use a credit card here too! Get the ceviche apaltado and arroz con mariscos. Siete Sopas: This is an entire restaurant dedicated to soup and I LOVED it. Get either the Sopa Criolla or Minestrone (it’s not Italian, this one is green and amazing). Central: This restaurant was featured on Chef’s Table and it’s a 16-course meal. You need to make reservations in advance as much as you can. The entire concept is that the ingredients are all sourced from different elevations of Peru. It’s a very different experience and you’ll eat things you didn’t even know existed. The meal is about $150 - $250 (depending on if you get the wine tasting). Maido: This is the 7th best restaurant in the world and it’s Japanese-Peruvian fusion. It’s also a very expensive meal, but it was really, really good. Also make reservations as soon as you can. 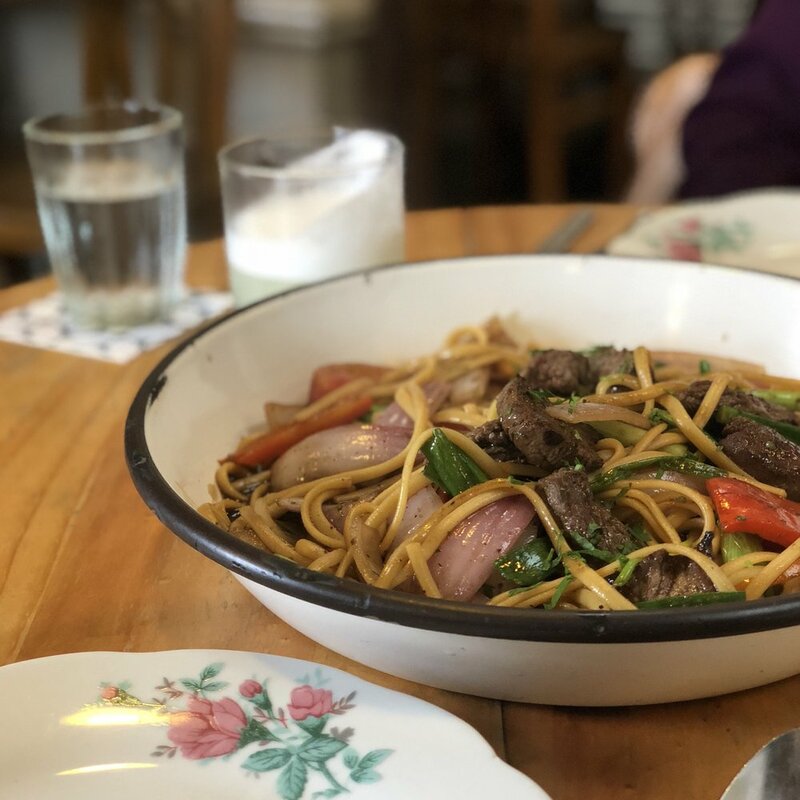 Barrio: Get the lomo saltado. You’re welcome. Maria Almenara: OMGGG the dessert here is HEAVEN. Get the bruselina de chocolate con fresas. It’s like a layered chocolate crepe cake with whipped cream and strawberries. My roommates got the chocolate cake with caramel and also loved that. What else should I do or see in Lima? There’s so much to see and do! My advice is to get out of the Miraflores bubble and explore other neighborhoods (Barranco, San Isidro, historical district, etc). Parque del Amor: This is a really cute park along the coast that has a cool “love sculpture” and art. Go with your S.O. if you can. Larcomar: Just a fancy shopping mall on the water. If the sun is cooperating, it’s a great place to watch the sunset. Kennedy Park: There are stray cats EVERYWHERE and it is adorable. Morphology - Barra Verde: This was one of my favorite experiences! The bar has aerial dancers who do a butterfly show, AND there’s also real butterflies flying around. Iglesia la Rocleta: This is just a blue church that looks like It’s A Small World from Disney World. It’s in the historical district, and overall, you should roam that area. And I think that’s all I’ve got! Below are some links to BuzzFeed posts I’ve produced, which should give some insightful information on Machu Picchu, Cusco, and Laguna 69. Quiz: Which Machu Picchu Hike Should You Actually Do?